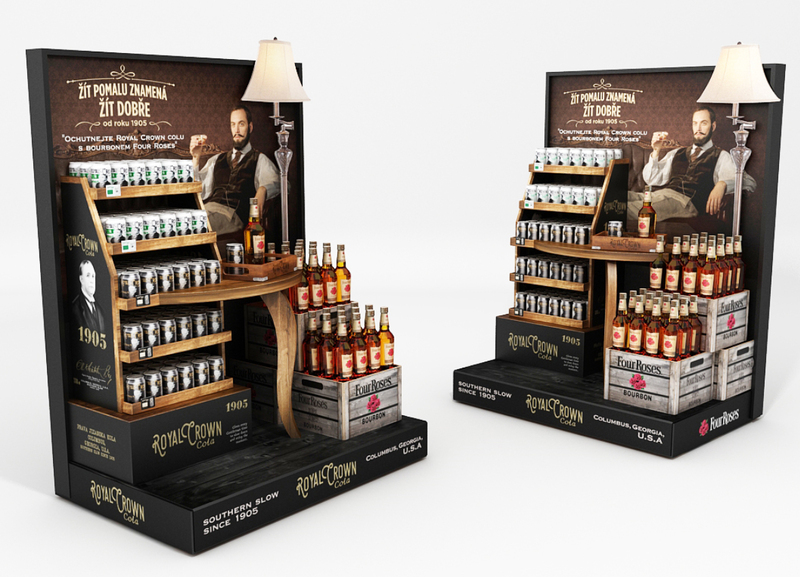 We have produced a new display to promote Fernet Stock liqueur for the company Stock, the leading producer of spirits. Stock uses the display since the end of March in Makro stores and its main goal is to introduce new modern design bottle. 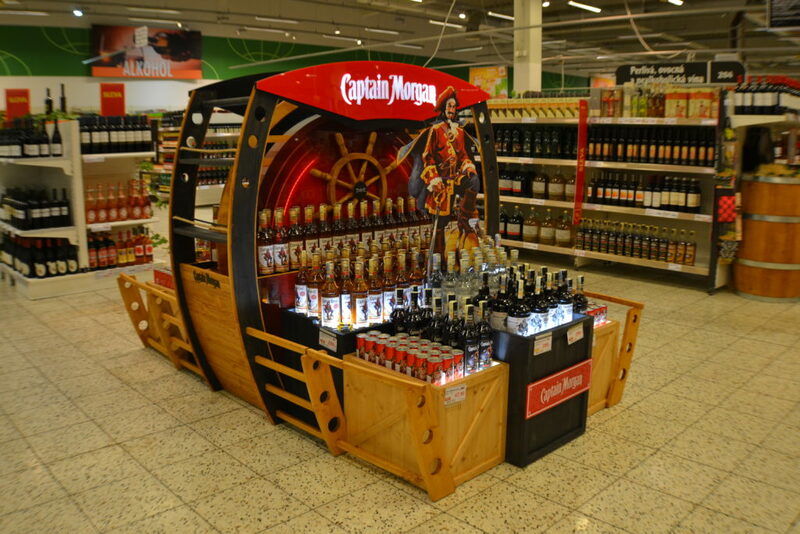 In the category of non-alcoholic beverages, our Captain Morgan boat, which was placed in Globus stores, has advanced to the finals. It attracts attention mainly thanks to its unusual height, premium wooden construction and the dominant captain figure. We are very pleased that after the last year’s success in the Czech Republic, this display also won a good place among foreign competitors. 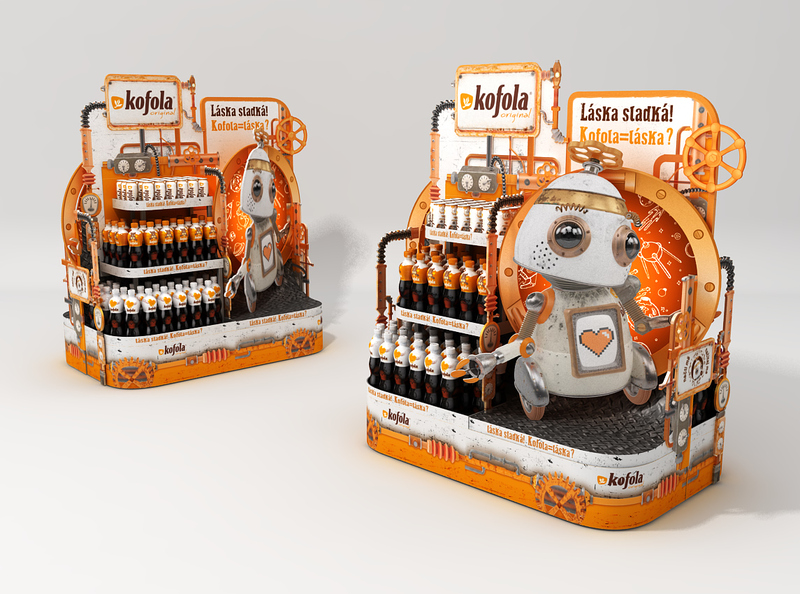 Two of our realizations made for Kofola are promising “white-hopes”. 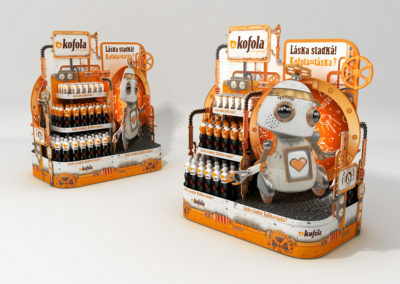 The expert jury was attracted by the campaign with robot Charles promoting new flavours. 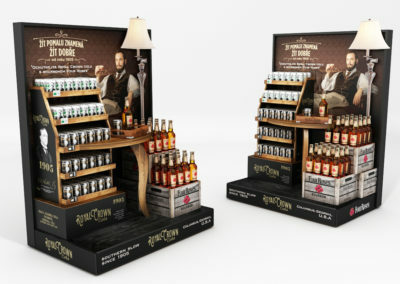 The second successful realization for Kofola progressing to finals is a luxury pallet island combining Four Roses whiskey and Royal Crown Cola. 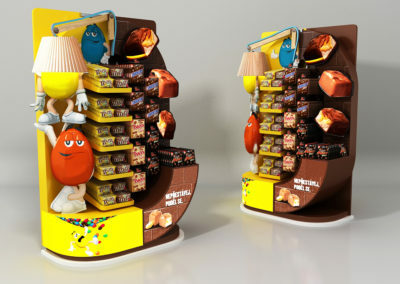 The end cap for M&M candies is going to win at least the third position, too. 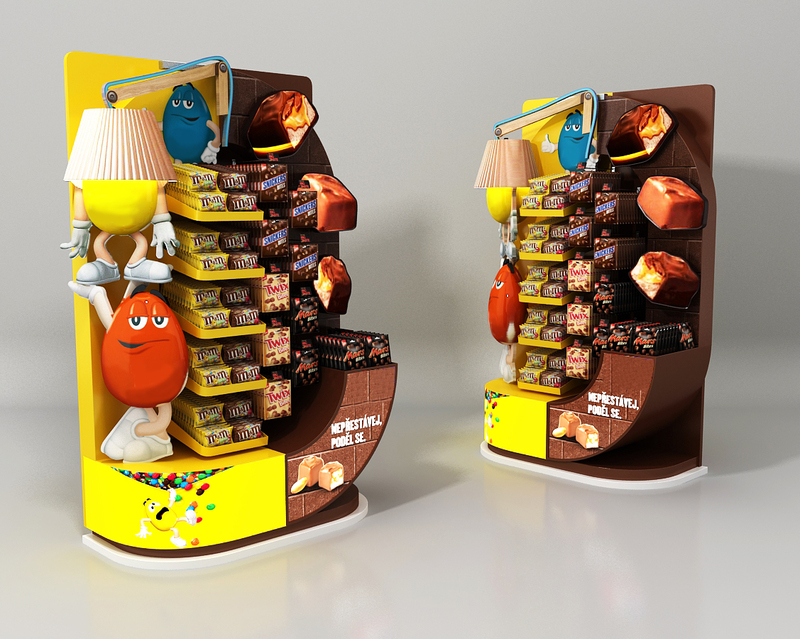 It attracts attention especially with its wittily-looking mascots and above-life size chocolate bars. 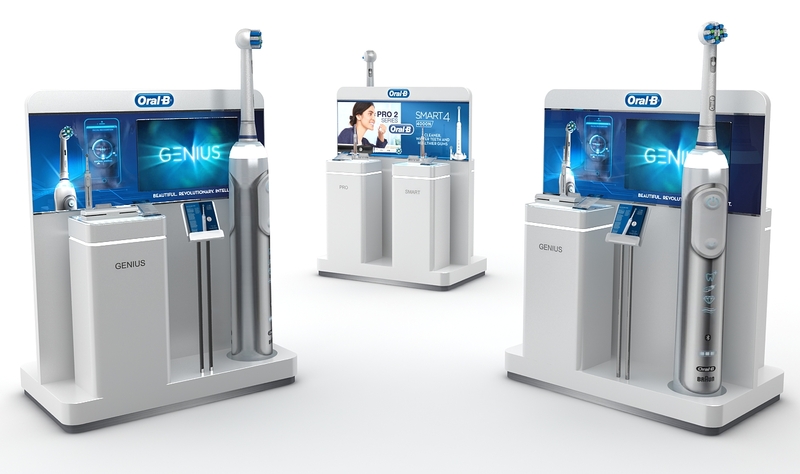 The interactive Oral-B shop-in-shop for PROCTER & GAMBLE won the fifth nomination. 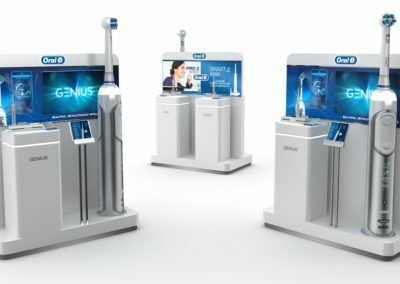 It has a special system which detects the excessive distance of displayed products on time without any physical connection. It is also interesting that the display monitors interactions with customers providing data for sales analysis. Every award we win demonstrates that our endeavour to create high-quality solutions focused on customers make sense. We would like to thank all our clients who give us the opportunity to work on these interesting projects!